Patience and hard work over 50 years ... It is a great fortune to be able to see in our lives the thorns that once again bloomed in half a century. 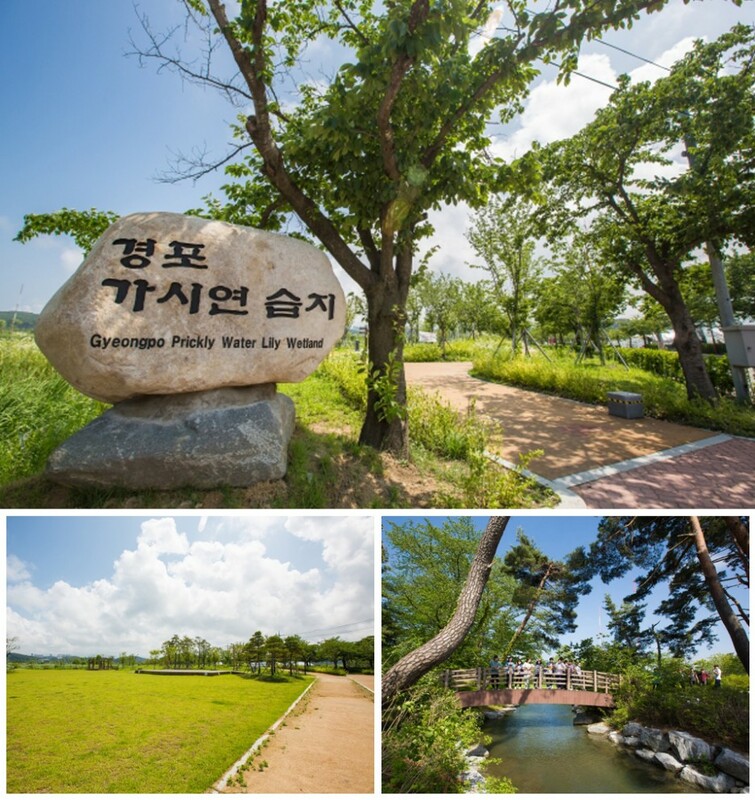 It is the Gyeongpo Lake Ecological Wetland that can be seen again in 50 years. It is about 30% of the total area of Gyeongpo Fortress, and it was created to create an environment in which various aquatic creatures can live in the vicinity of Gyeongpo. It was created in 2012 and is the first step to returning the number of Gyeongpo Fortress to its former shape. And a visitor center for ecological commentary.